They’re not going away – at least no time soon. Washington intends spending $1 trillion over the next 30 years upgrading its already formidable arsenal – a warning of intent to use against Russia, China or any other nation challenging its quest for world dominance. Gorbachev’s message is clear. If these weapons aren’t eliminated, they’ll eliminate us. Founder of America’s nuclear navy Admiral Hyman Rickover said the same thing in 1982 congressional testimony. Thermonuclear wars are madness. They risk humanity’s destruction. Yet the risk is perhaps greater than ever. Thucydides trap conditions exist. The Greek historian warned 2,400 years ago about the risk of war because of an established power’s fear about a rising one. Today, Mikhail Gorbachev and many others like him warn of today’s unprecedented risk. America’s rage for world dominance threatens everyone. It’s shocking to think bipartisan lunatics in charge may kill us all. A nation spending as much or more on militarism and war-making than all others combined is “an insurmountable obstacle” to a peaceful nuclear-free world, Gorbachev explained. “Can we really imagine a world without nuclear weapons if a single country amasses so many conventional weapons that its military budget nearly tops that of all other countries combined,” Gorbachev asked – leaving no doubt which country he meant! America “would (still) enjoy total military supremacy if nuclear weapons were abolished,” he added. They’re “unacceptable (and) inhumane” – able to “wipe out the entirety of civilization” in short order. “Weapons like this have never existed before in history, and they cannot be allowed to exist” – if humanity expects to have any chance to survive. 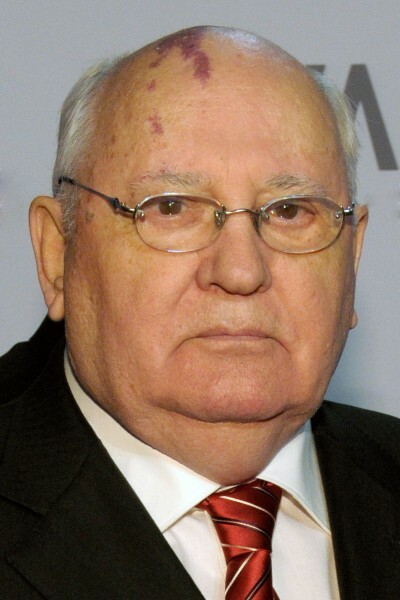 Gorbachev expressed great concern about possible nuclear war. Current conditions should scare everyone. Nuclear armed nations “have thousands of warheads” and sophisticated long-range delivery systems with pinpoint accuracy. Major cities can be turned to smoldering rubble in short order – their entire populations incinerated, radioactive fallout leaving them unable to support human and other species’ life. Washington’s rage to militarize space and control it makes the “danger of nuclear proliferation…greater than ever before.” During his tenure as Soviet leader, Washington and Moscow stepped back from the brink. “Thousands of nuclear warheads were destroyed and several types of nuclear weapons, such as intermediate-range missiles, were disposed of,” said Gorbachev. We can be proud of that. We accomplished all that together. It should be a lesson for today’s leaders: for Obama, (whoever succeeds him in 2017), Putin and Merkel. Continuing the madness of nuclear proliferation may doom us all.